That’s how easy it is to use Shapr, a free app that will help you meet people with matching professional goals. Shapr, which has offices in Paris and New York, is a startup that has set out to make networking easier, faster and more meaningful. Shapr was created by renowned data scientists who built one of the most complex algorithms available for swiping apps. 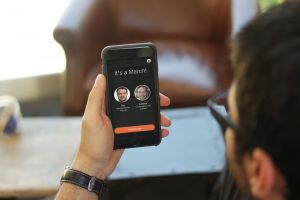 Using relevant criteria like your location, professional level, specific networking goals and self-selected interests, the app churns out personalized suggestions of who to meet to network more effectively. Here’s the best part: Everyone you match with is actively interested in meeting people like you. They’re all there for the same reason you are. The point of Shapr is to meet face-to-face, learn from your matches and discover potential areas of collaboration. 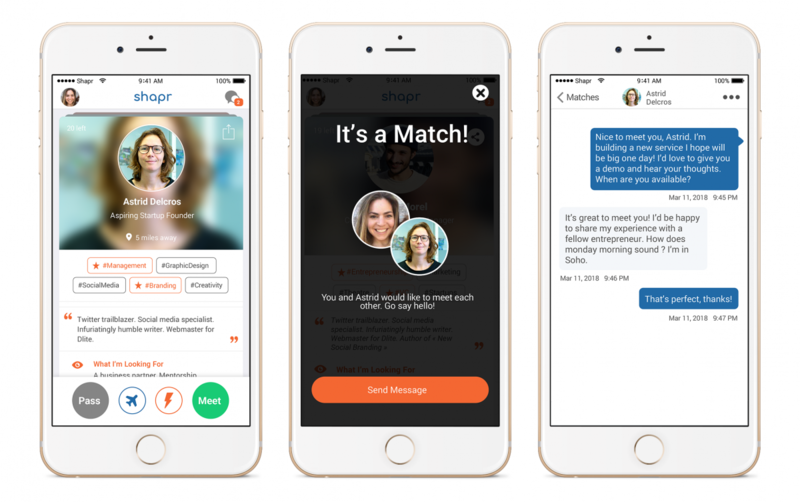 Unlike social apps that just aggregate thousands of “followers” who you rarely engage with, Shapr is designed to get you actually chatting with your matches over coffee, Skype or in other ways. So why does Shapr work so well? Beyond the personalized, useful suggestions of who to meet, the app has a built-in community of people who are as motivated as you are to meet and support each other. Shapr has over 1 million users, and they’ve shared countless success stories of how they boosted their careers through meeting the right people who can get their resume in the door or found people who can offer advice on a possible career change. Pixon Games CEO Kam Punia says he actually met his investors, former King’s executives, through the app. Futurism fans: To create this content, a non-editorial team worked with Shapr, who sponsored this post. They help us keep the lights on. This post does not reflect the views or the endorsement of the Futurism.com editorial staff.